Have you heard of the new stamp company Mama Elephant? Today's card features one of the great sentiments from the Good Times set by Mama Elephant. 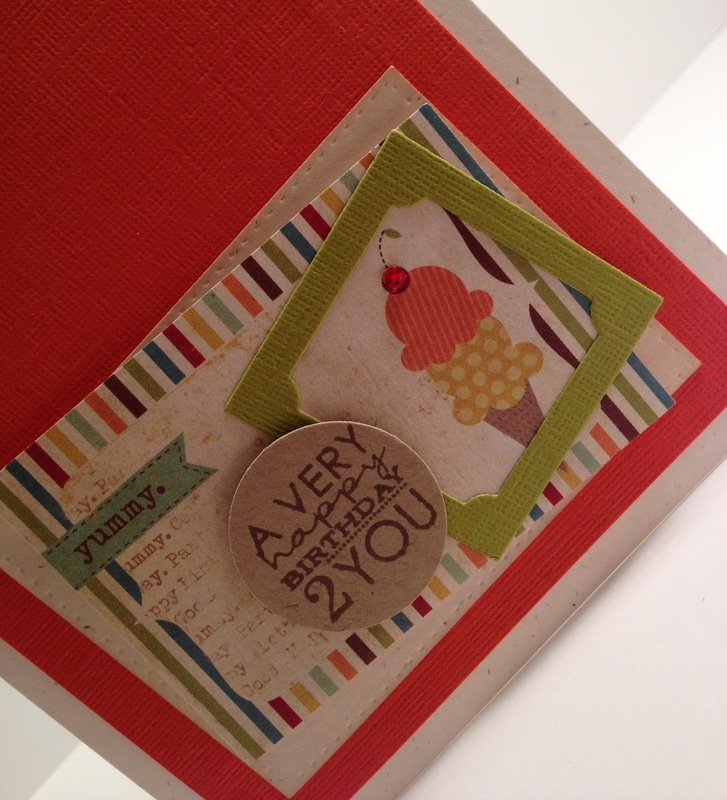 I paired it with papers from October Afternoon and some star die cuts. 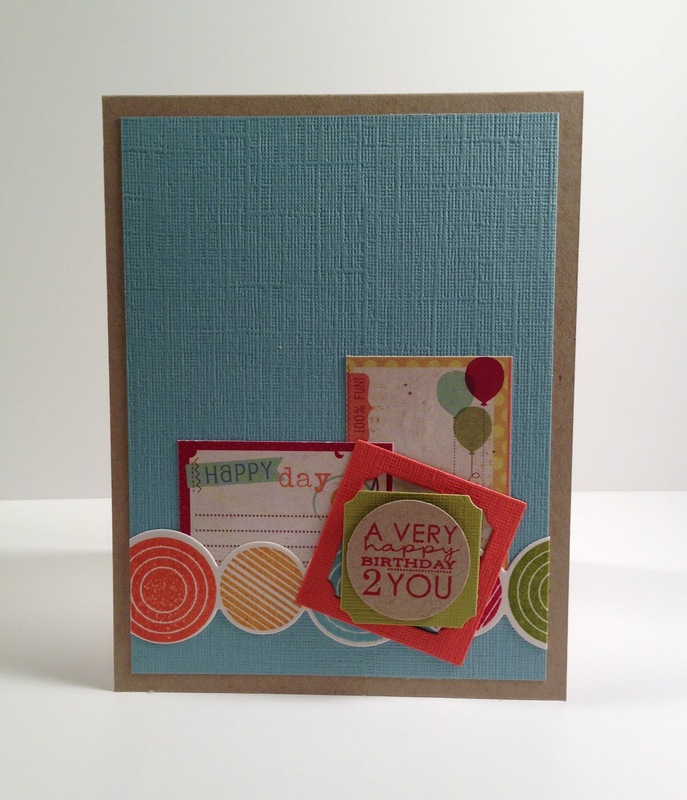 The Good Times stamp set has many fun sentiments so I'm sure it's a stamp set that I'll turn to again and again. Just a quick post today to share this "Miss You" card. 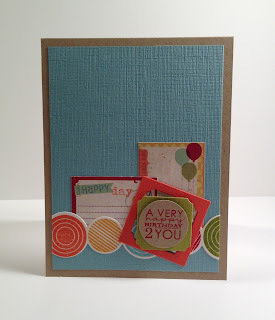 It uses papers from October Afternoon and images from Kim Hughes (Paper Smooches). 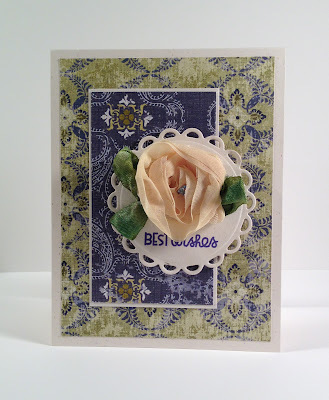 Please get comfy because today I have several cards to share with you and when you're done checking them out, I'm going to direct you over to Kim's blog. Kim and I got to know each other a few years back when we were on a design team together and I'm so glad that we have continued the friendship. 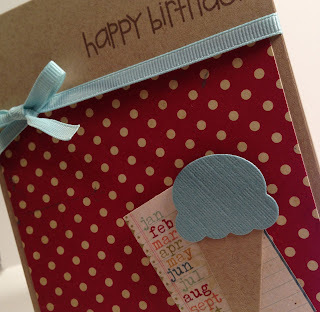 Anyway, we were chatting the other evening and decided it would be fun to challenge each other to use the Happy Day papers from Simple Stories since we both happen to have that collection of papers. 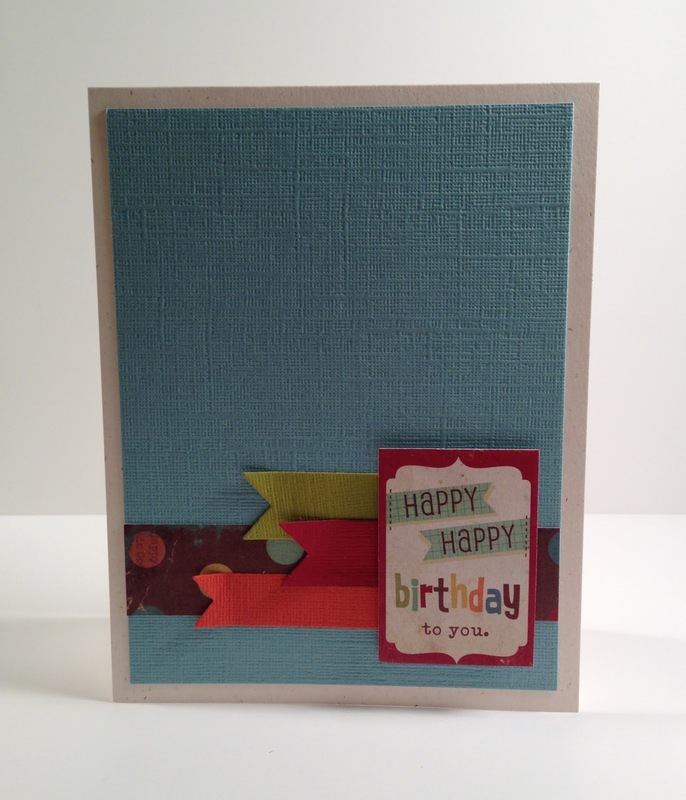 So, I got to work and starting making cards. 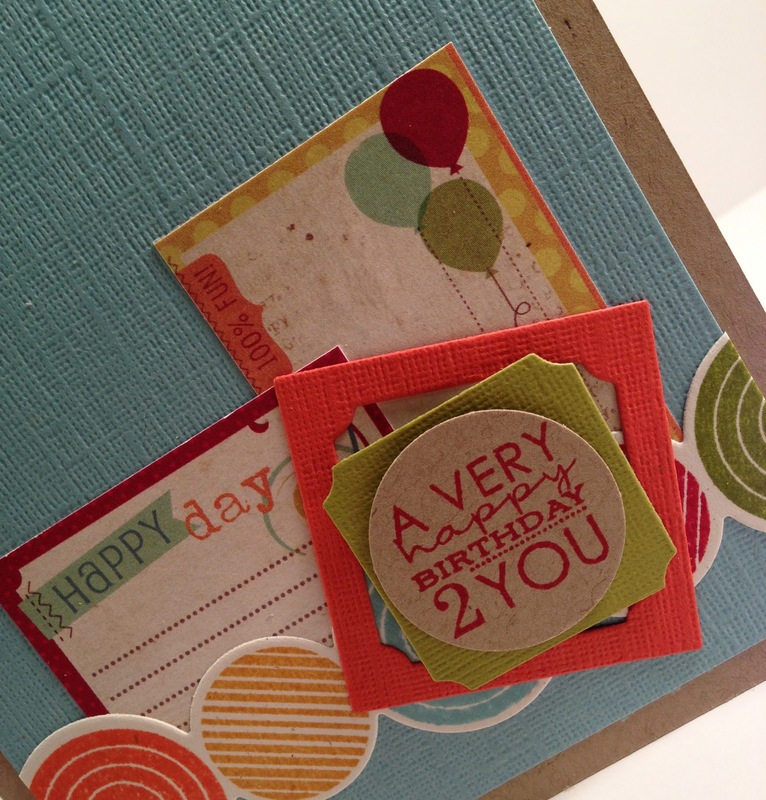 I have 5 cards to share with you today using the Happy Day 6x6 from Simple Stories. 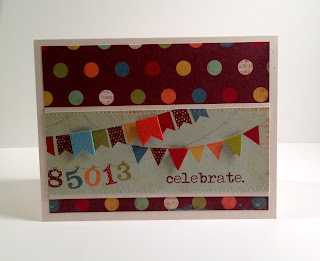 I paired it with some Stampin Up textured card stock that I had in my stash. 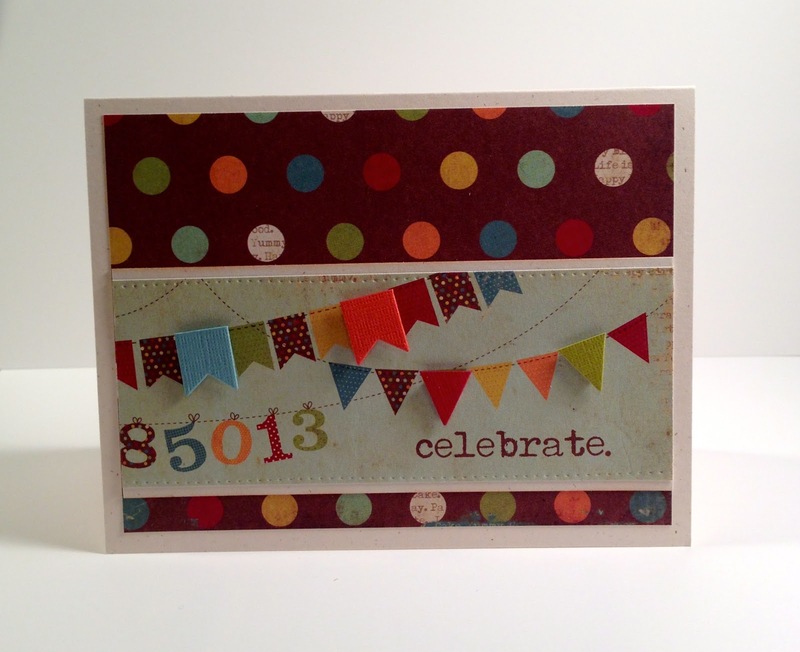 It's the assorted pack of In-Colors from 2008, I think. 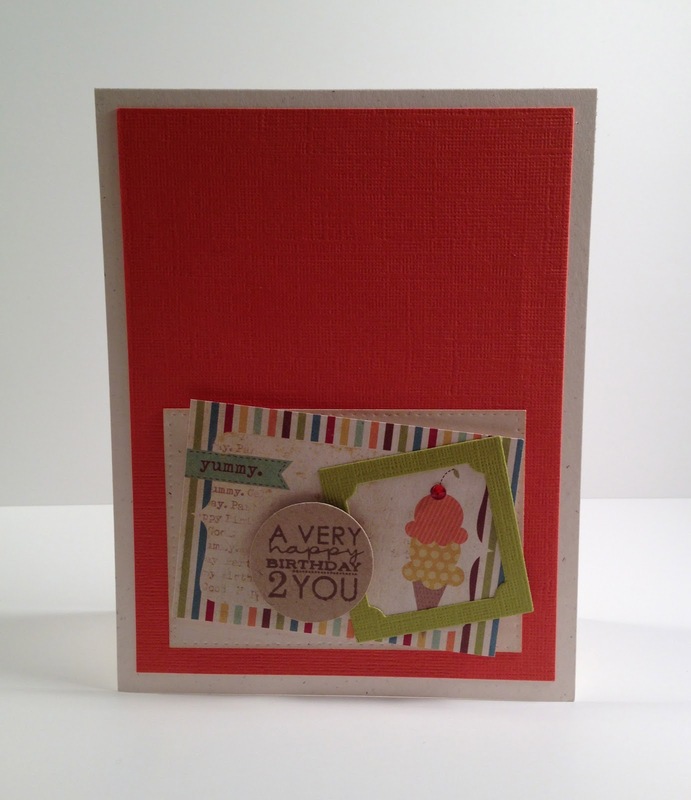 It has Tangerine Tango, Kiwi Kiss, Baja Breeze and Riding Hood Red. 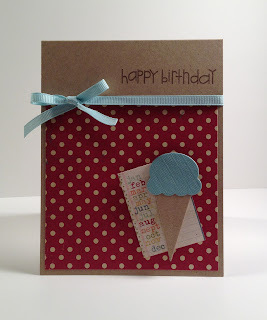 This card uses a sentiment from Paper Smooches and the ice cream cone die from Papertrey Ink. This card uses a couple of dies and stamp sets from Papertrey Ink. 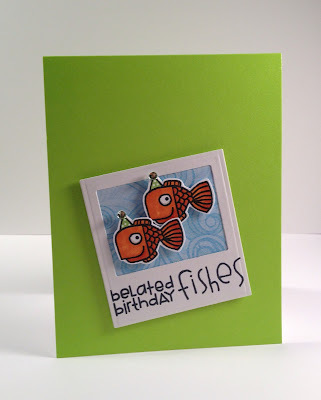 Another card very similar to the last. 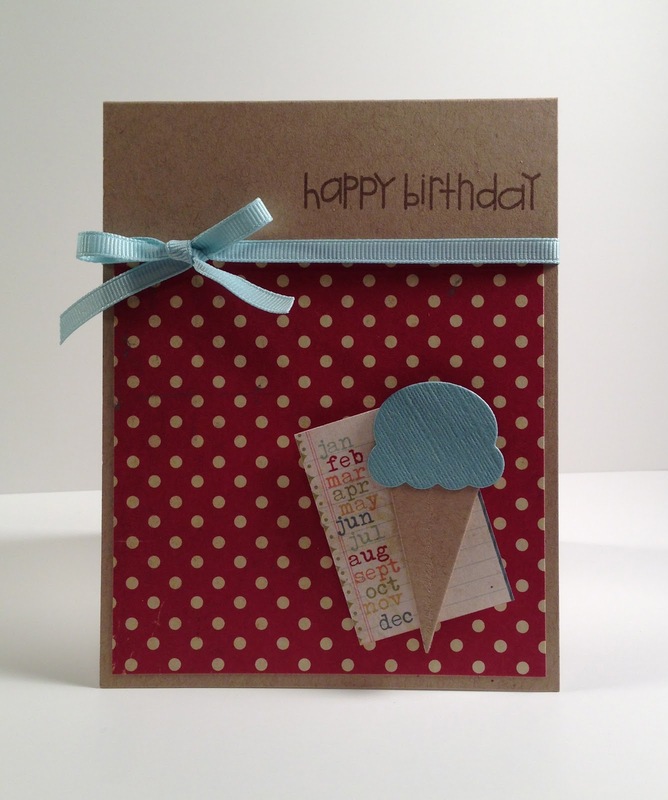 I added a Zva Creative red rhinestone to the cherry on the cone for a little sparkle. 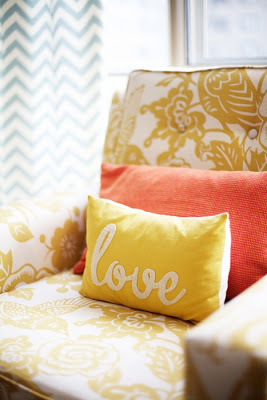 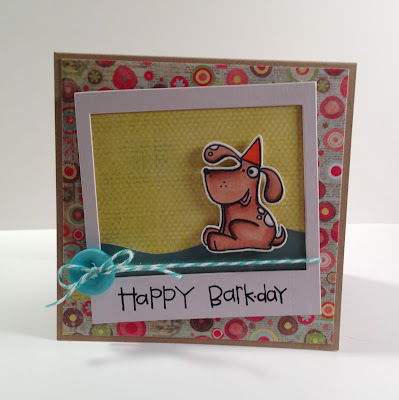 This one uses the sentiment flag die from Lil Inker Designs. 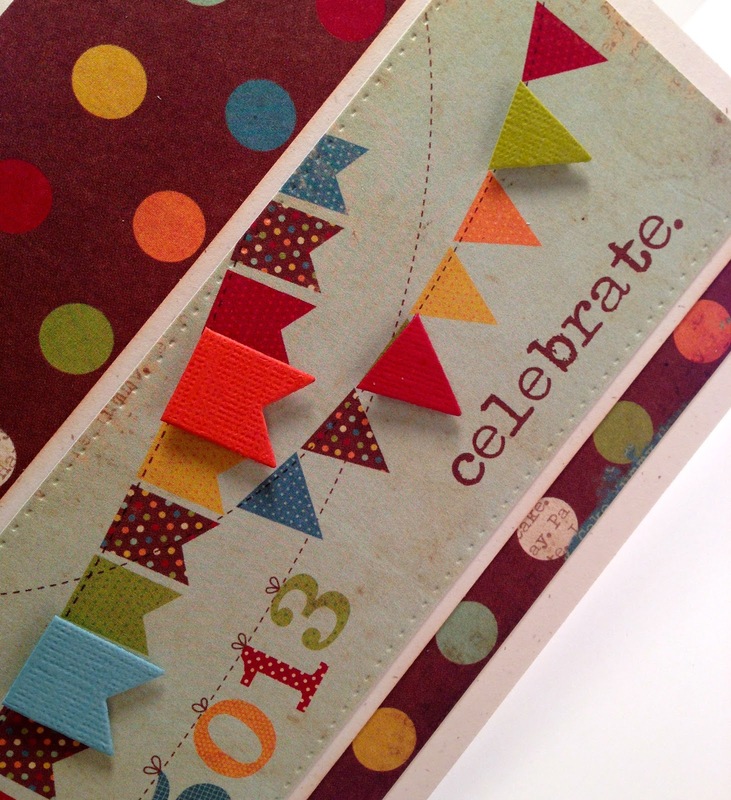 I also used the sentiment flag die to add the blue and orange mini banner pieces. I just trimmed the ends off of the die cut pieces. 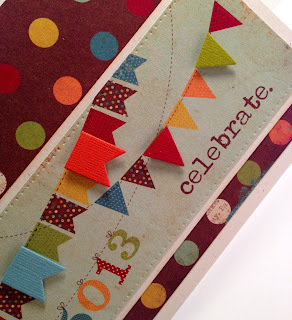 To create the mini triangle banner pieces I used the Papertrey Ink Banner Builder (A) piece and trimmed it. 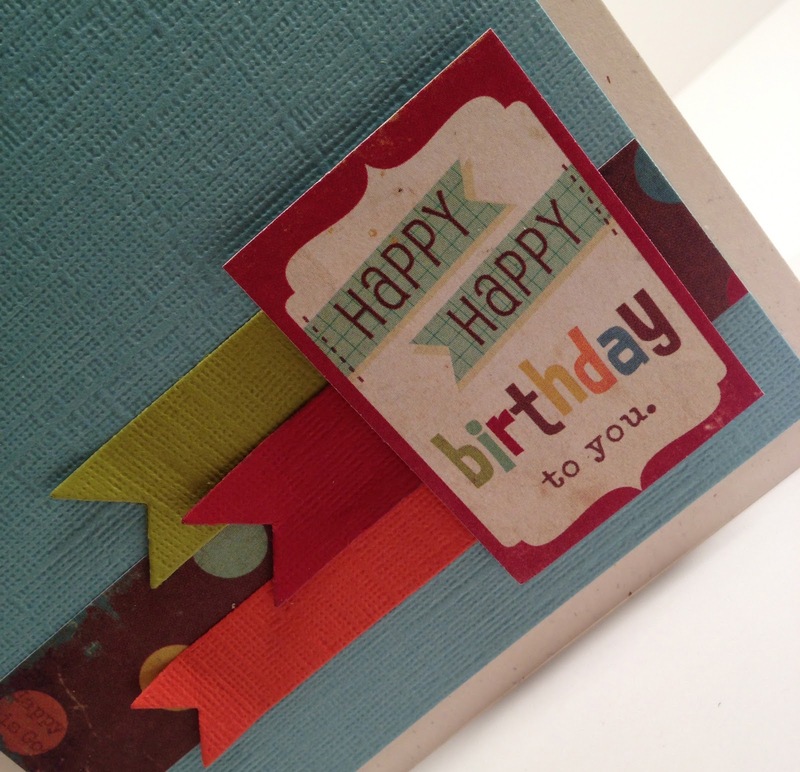 I mounted the pieces with foam tape to give the card some dimension. Now be sure to stop by Kim's blog (Basement Stamper) to see the great cards she made with the same collection of paper.